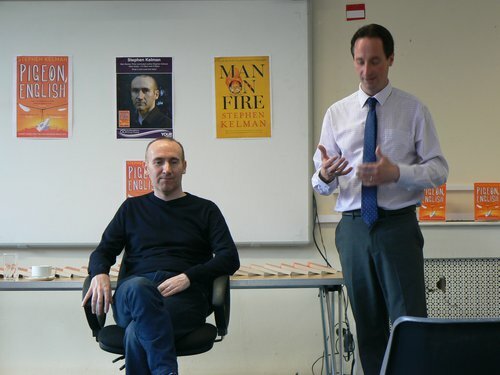 Stephen Kelman, the author of the Man Booker Prize-shortlisted title Pigeon English, visited HMP Featherstone in Wolverhampton recently, as part of our Books Unlocked programme. He met with a prison reading group on Thursday 13 July, where he took part in a lively discussion with 20 prisoners about their thoughts on the title and the Man Booker Prize. The group also had the chance to ask Stephen about life as an author and his experiences of the publishing world. Our Books Unlocked scheme is designed to encourage a positive attitude to reading by introducing prisoners to Man Booker Prize titles. Stephen has been involved in the project since 2012. Pigeon English is also serialised on National Prison Radio’s The Book Club, a free radio service broadcasting directly into prison cells across England and Wales, reaching almost 80,000 prisoners. The Books Unlocked programme has a positive impact on the reading habits of prisoners and young offenders, with participants reading more frequently and widely after taking part in the programme. Good literacy skills are key for helping ex-prisoners gain employment – and research shows that employment reduces the risk of reoffending by between a third and a half. 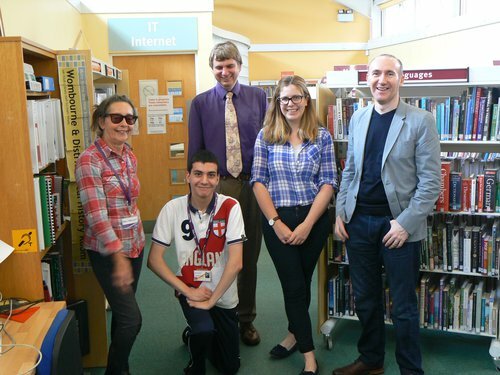 Before visiting HMP Featherstone, Stephen took part in a discussion at Womborne Library, with local reading groups and schools. Students from Ounsdale High School and Codsall High School attended to meet the author, along with participants from reading groups based in Penkridge, Wombourne, Kinver and Codsall. This meeting was part of the community model of Books Unlocked, which sees reading groups from schools, prisons and libraries in an area reading the same title and anonymously sharing their thoughts with each other. “Our experience of working with prison library and education teams taking part in the Books Unlocked project has highlighted that access to a wide choice of books is extremely important for the development of prisoners’ communication skills, which are crucial in supporting their future rehabilitation and employment prospects.